This post was created in partnership with TripAdvisor. As always, all opinions & thoughts expressed below are 100% my own. One of my favorite ways to explore a new city (or as in this particular case, different & new to me parts of a city I already love) is to book a culinary tour with a local tour group. I have hopped on winery tours & the occasional local foods tour, but brewery tours just may be my personal favorite. Local breweries have just recently started making a comeback from the days of Prohibition in many cities & areas of the country, popping up in once was industrial neighborhoods of towns & cities. They bring with them not only some tasty & creative local brews, but also have restored a revitalized sense of community & pride in these once forgotten parts of the city. Our first stop on our City Brew Tour was to the Mindful Brewing Company located in the Castle Shannon area of Pittsburgh. For a brewery that has been only been open for a year and a half, they know their stuff and brew some great beers. The folks at Mindful transformed a building that was once a popular local grocery store (John McGinnis & Co. 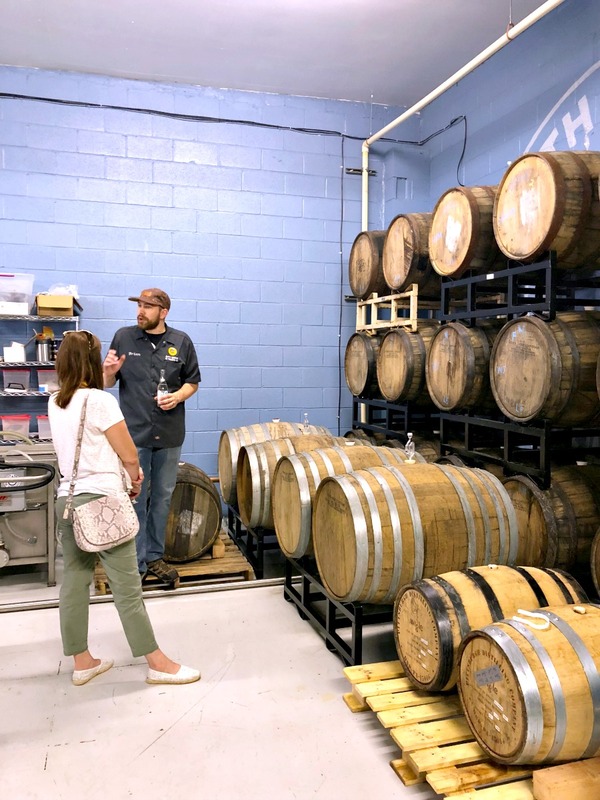 Grocery, for those who are familiar with the 'Burgh) into an impressive brewery with a restaurant, a tap room with 70 rotating taps, and a 1000+ bottle shop. Yes, folks. I did say a 1000+ bottle shop. If they don't have the brew you are looking for in their walls of coolers, then you probably won't find it anywhere else in the city. 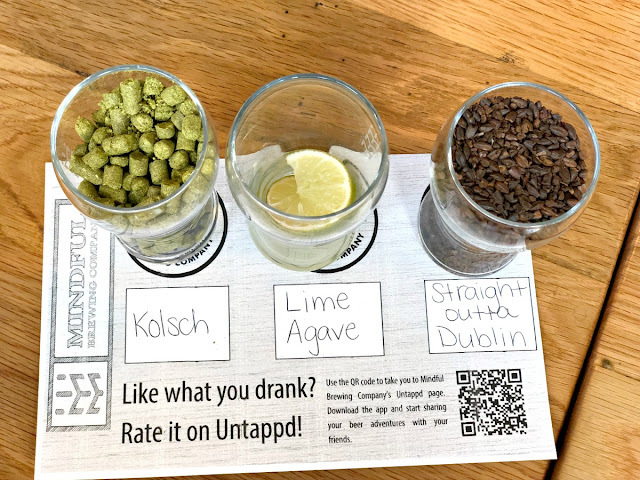 We sampled 3 different beers during our stop at Mindful, and each beer was paired with a sniffing of their main flavor profile. My favorite was the Straight Outta Dublin, an Irish style stout with deep roasted malts. I was also a fan of the Lime Agave, a pale wheat ale perfect for summertime sipping. Check out Mindful Brewing's current tap list by CLICKING HERE. Located in front of what was once a bridge for the Montour Railroad in the Bethel Park neighborhood of Pittsburgh, Spoonwood Brewing Company has been brewing their signature craft beers in their 15 barrel brewhouse for over 3 years now. 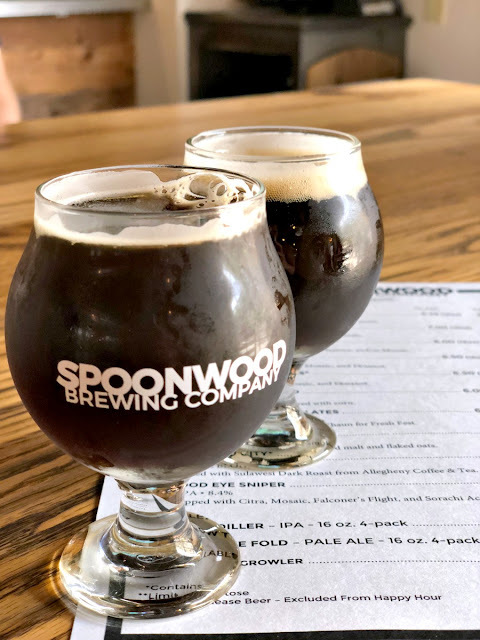 Spoonwood was started by a mortgage broker turned brewmaster & offers up to 12 taps of freshly brewed beer at any given time. 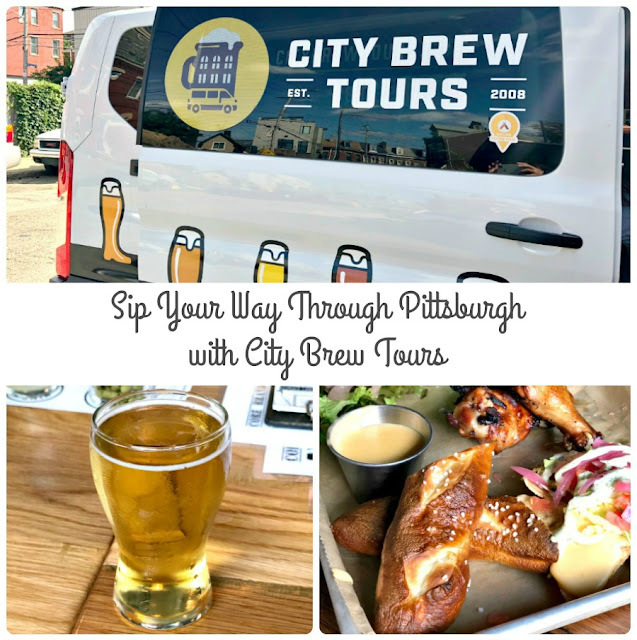 Every City Brew Tours Pittsburgh brewery tour that you book through TripAdvisor also includes either a lunch or dinner option (depending on the time slot you choose). 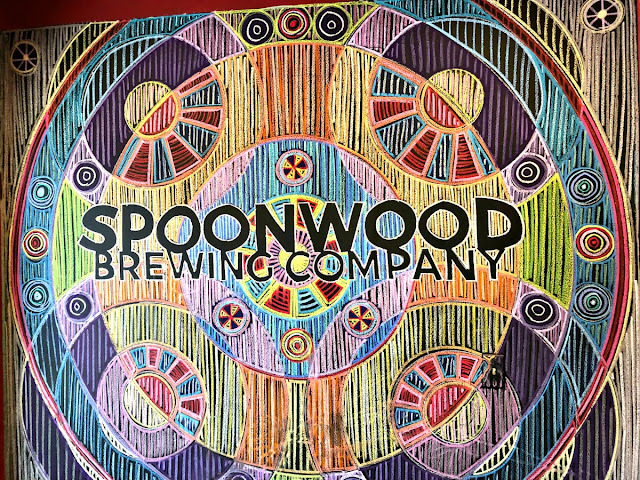 We were fortunate enough to get to grab lunch at Spoonwood during our tour. 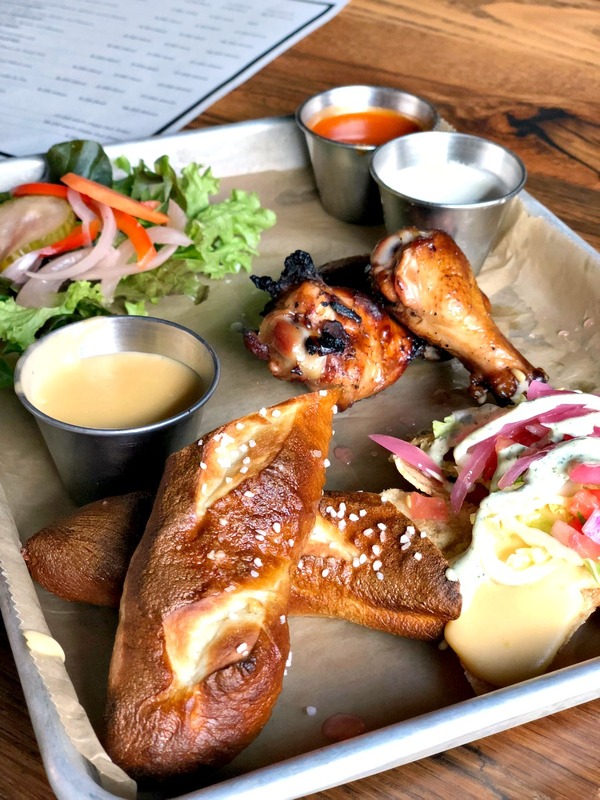 We were treated to a sampling of some of their most popular bites that paired perfectly with their tasty beers- their nachos, pretzel sticks, wood fired wings, & the Farmhouse Salad. 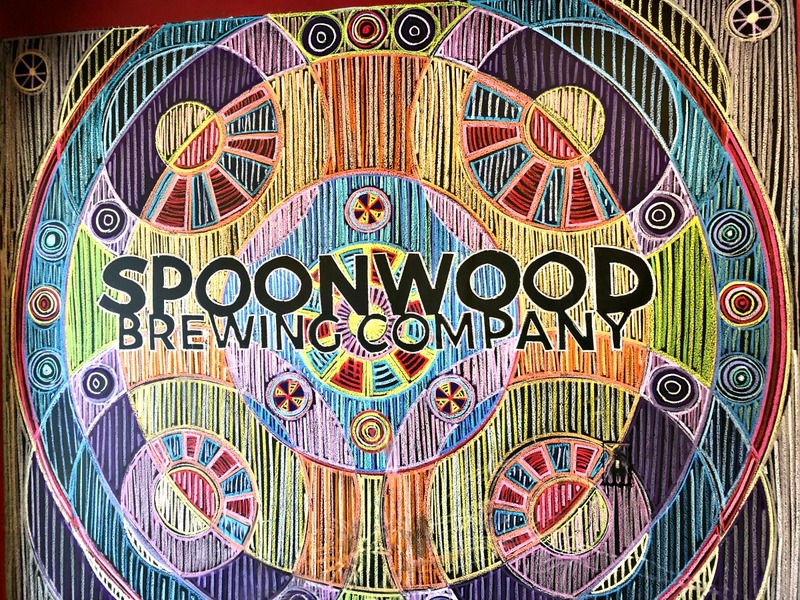 You can check out Spoonwood's full menu by CLICKING HERE. 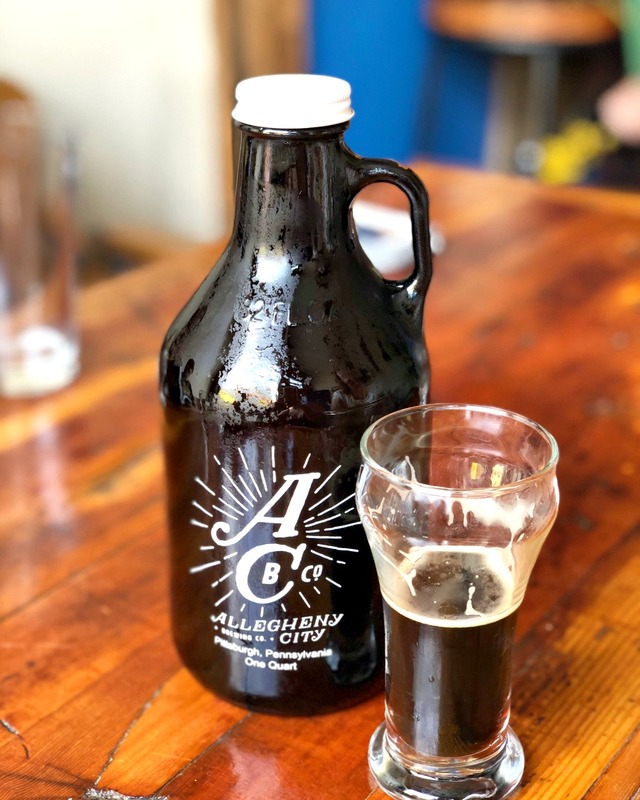 Located in the Deustschtown neighborhood, Allegheny City Brewing Co. has been brewing up local craft beers in the North Side of Pittsburgh for two years now. It all started when 3 Pittsburgh natives moved to Colorado & fell in love with the local craft brewery scene there. They began home brewing, moved back to the Steel City, and now the rest is history. Inspiration for the name of the brewery came from what folks used to call the North Side of Pittsburgh- Allegheny City. 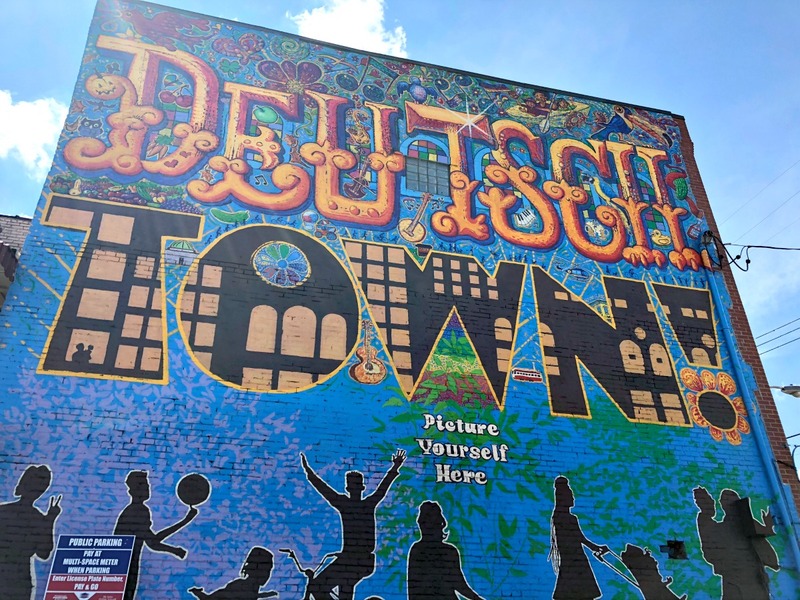 The brewery owners wanted to honor that part of the neighborhood's history, so it was only appropriate that they took that former city's name as their own. 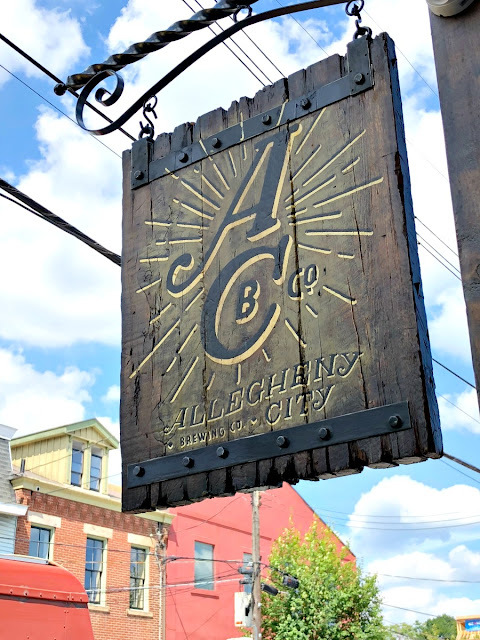 Thanks to their 7 barrel system, Allegheny City offers up to 11 of their craft beers on tap at any one time. They offer a nice variety of brews so craft beer lovers of every taste & preference can find something that they will love. 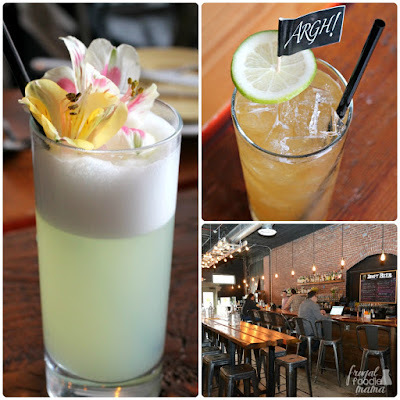 We really loved the atmosphere of the tap room & the vibe of the surrounding neighborhood. I would definitely recommend requesting a stop at Allegheny City Brewing to your Pittsburgh City Brew Tour. 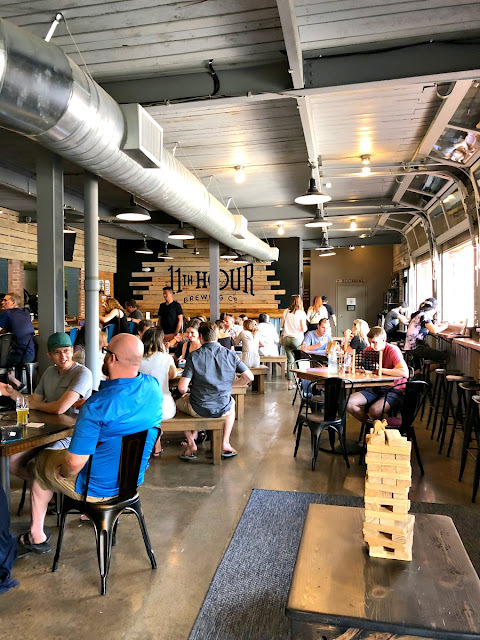 Located in what was once a former schoolhouse for German immigrants in the Lawrenceville neighborhood of the city, 11th Hour Brewing Company is the "baby" of the 4 breweries that we visited on our tour having only opened it's doors just a little over a year ago. 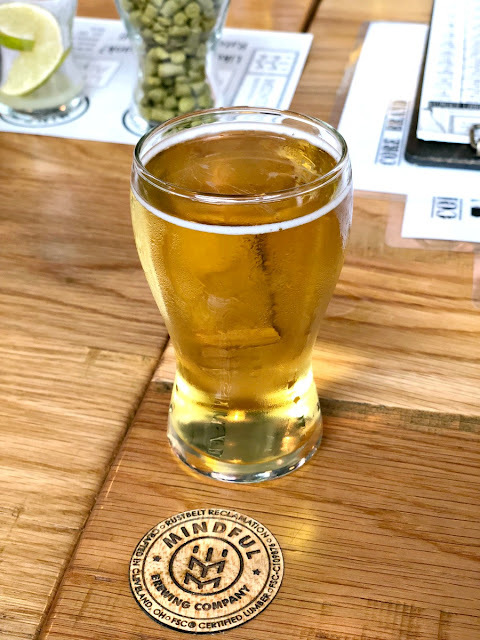 They may be the youngest of the group, but they have what is probably the most impressive craft beer brewing setup of them all boasting a 20 barrel brewhouse & a 1200 square foot tap room. 11th Hour also has a few beers aging in casks that they have acquired from local distilleries, like Wigle Whiskey in the Strip District. Our tour guide explained to us how the casking & aging process works while giving us a tour of the brewery. While the brewery does not have a restaurant of its own, they often have a rotating selection of food trucks parked outside the tap room on any given day. 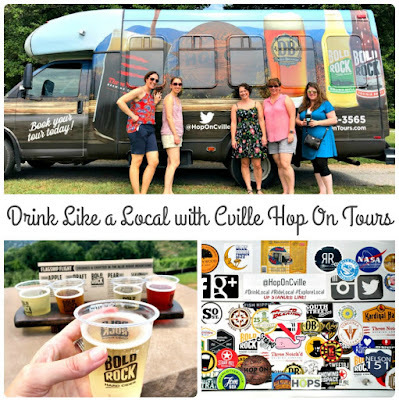 Still need a little more convincing that you need to book a City Brew Tour soon? City Brew Tours are a fun way to see & explore a new city! 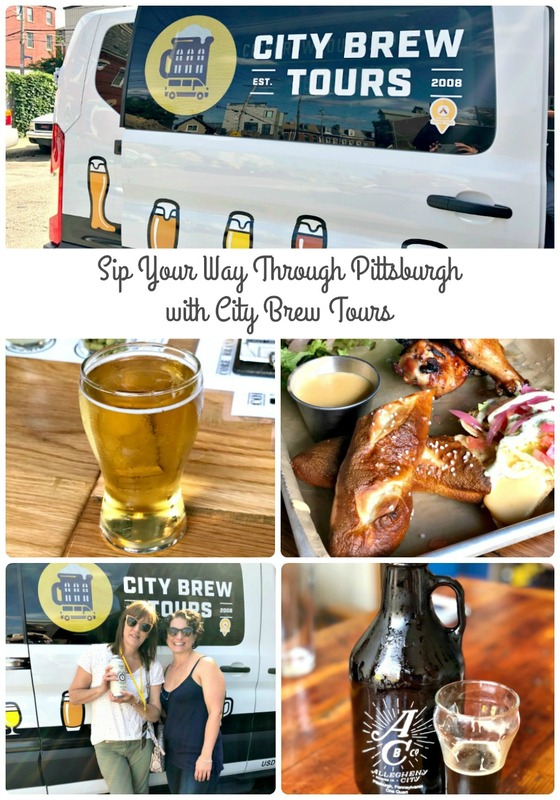 A City Brew Tour would make make the perfect girls' day out, date night, or guys' night out. You get a built-in designated driver! It is the best way to sample all those tasty local craft beers the safe way. 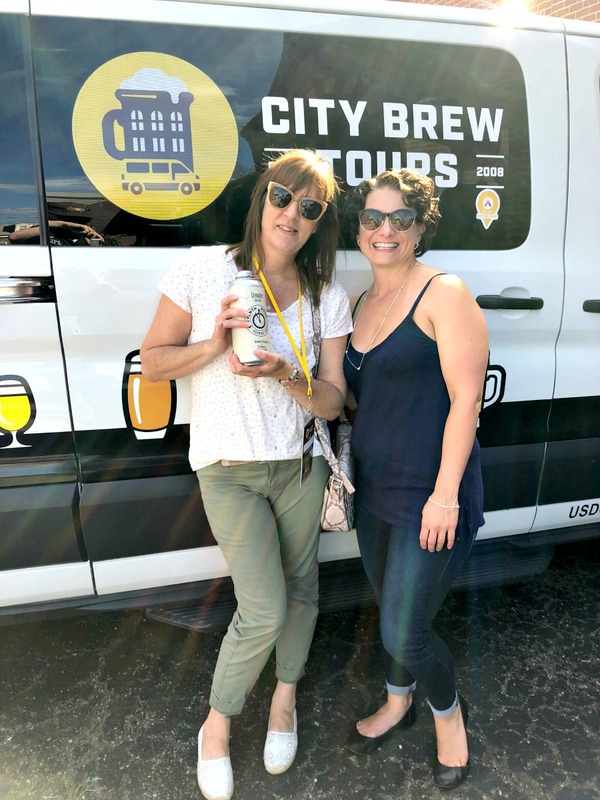 A City Brew Tour would make an amazing gift for your favorite craft beer loving friend or family member. Not in Pittsburgh? No problem! City Brew Tours also offers brewery tours in other major cities on the East Coast like Boston, Washington D.C., Philadelphia, NYC, etc. Booking a City Brew Tour couldn't be easier when using the Things to do tab on TripAdvisor. 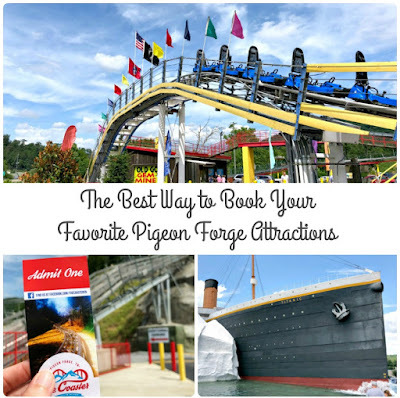 CLICK HERE to check out my step by step tutorial on how to easily book your favorite tours & attractions through TripAdvisor. Have you experienced a City Brew Tours brewery tour before?